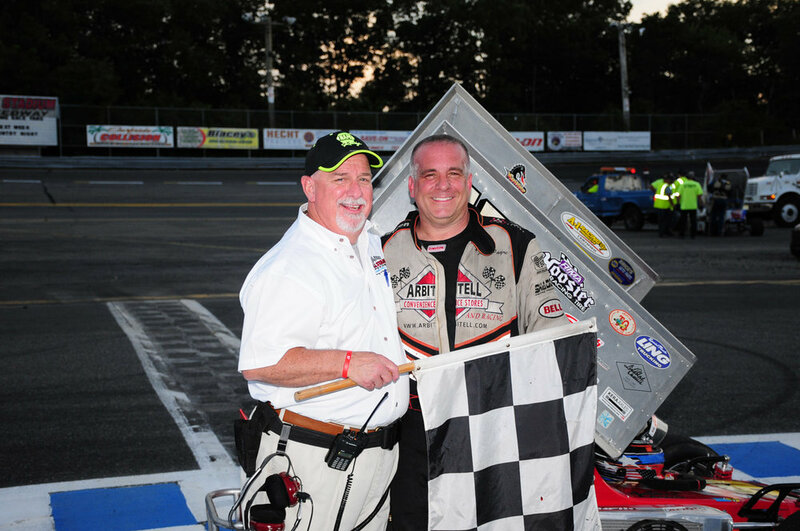 LEIGHTON, PA- For the second time this season, Joey Bailey and his Alan Mollot owned Yuhas Chassis claimed victory at the Mahoning Valley Speedway. 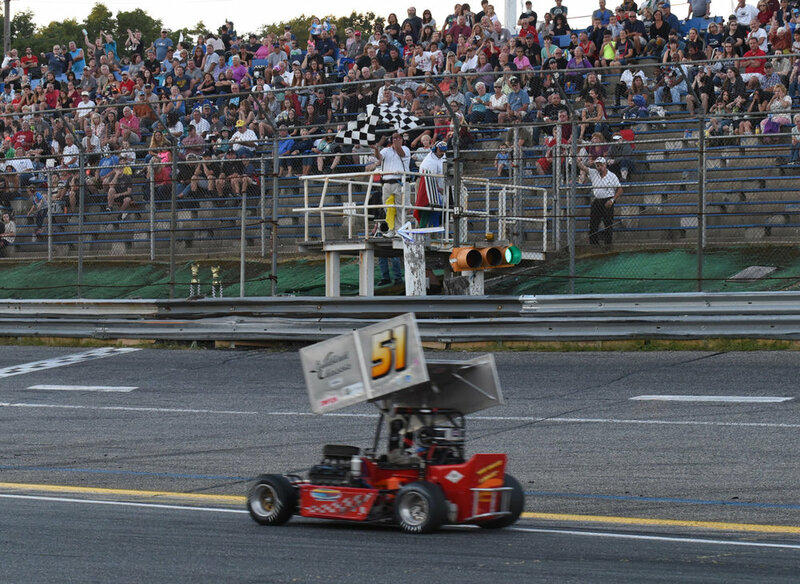 Overall, this was Bailey’s third victory in 2018, in the Hoosier Mid-Atlantic ATQMRA powered by VP Racing Fuel, as he continues to scratch and claw towards the top of the championship standings with only a handful of races remaining in the 2018 season. 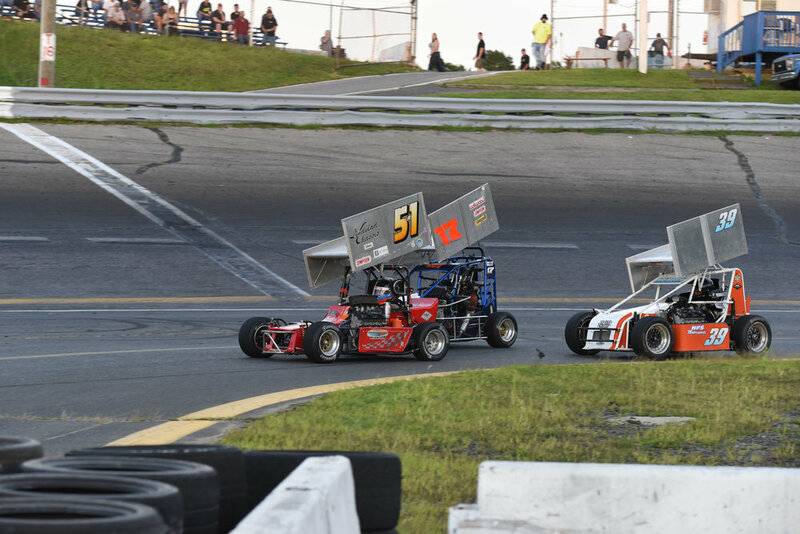 For the second ATQMRA event in a row, Jeff Kot, driving the #17 Hyper 600 entry for Spitfire Racing, claimed victory in his heat race. Kot, who claims Mahoning Valley Speedway as his home track, put on a great show all night for the hometown crowd. Kot would start from the pole and lead the most laps of the 25 lap feature. At one point opening up a large lead. 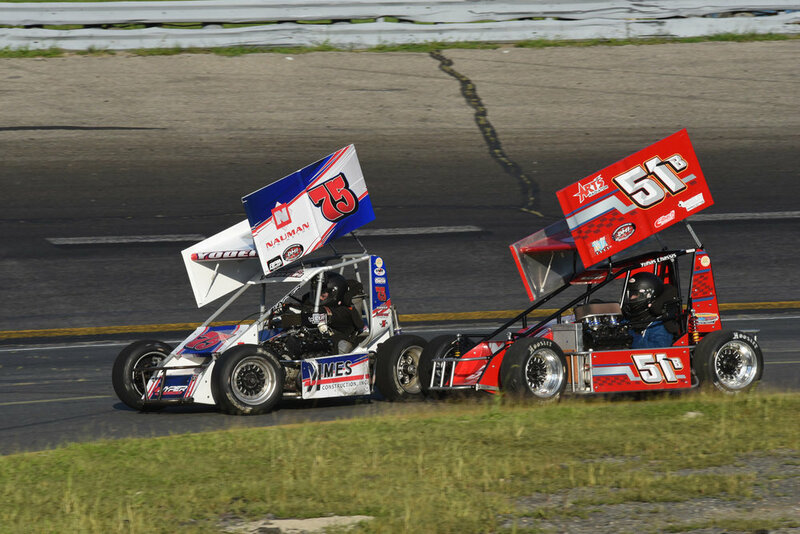 Kot held off continuous battles from both eventual winner Bailey and ATQMRA championship points leader Matt Janisch. However, both would ultimately pass Kot in the closing stages and Kot settled for a strong third place finish, after blistering his right side tires. 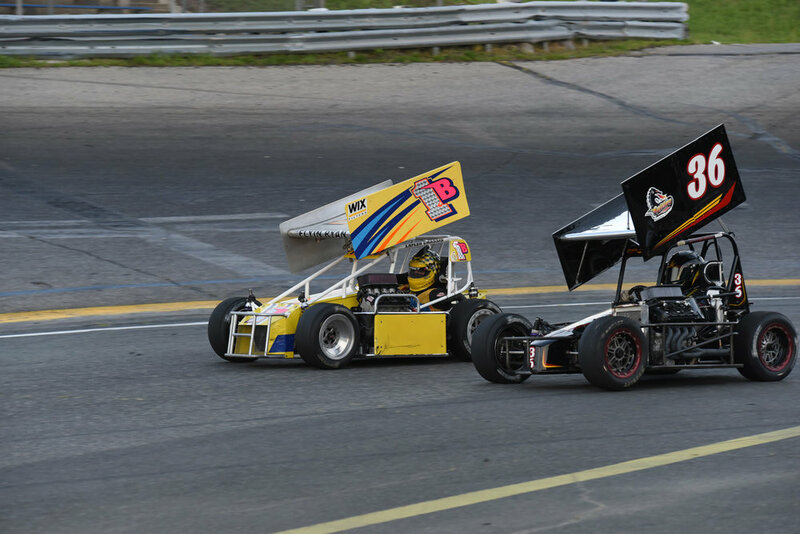 Bailey and Kot would swap the lead and race wheel to wheel for much of the event. Bailey looked to be in trouble when he got sideways exiting turn two but made a great save and continued the battle with Kot. ATQMRA front runners Ryan Tidman for the Boyd Racing team and Buddy Sload for Spitfire Racing had rather quiet evenings. While finishing fourth and fifth respectively, they will look to regroup and have a much stronger showing at Wall Stadium next weekend. 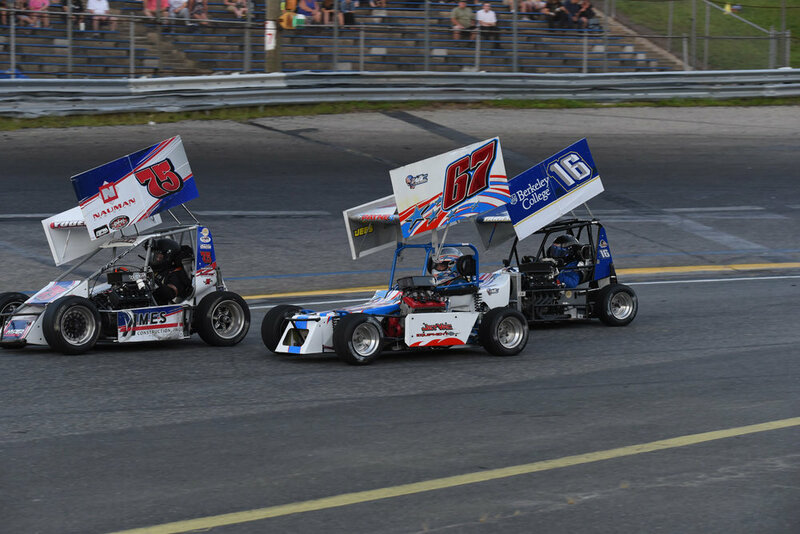 Tidman entered the event second in points behind points leader Matt Janisch. Kyle Taraska debuted at Mahoning Valley this weekend sporting his usual Berkeley College colors. 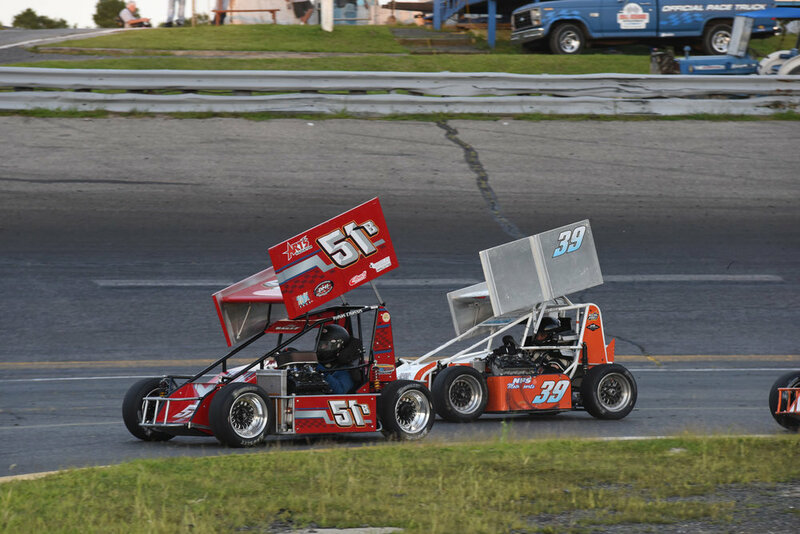 Taraska experienced a mechanical issue early in the feature event, resulting his race to end after only eight laps. 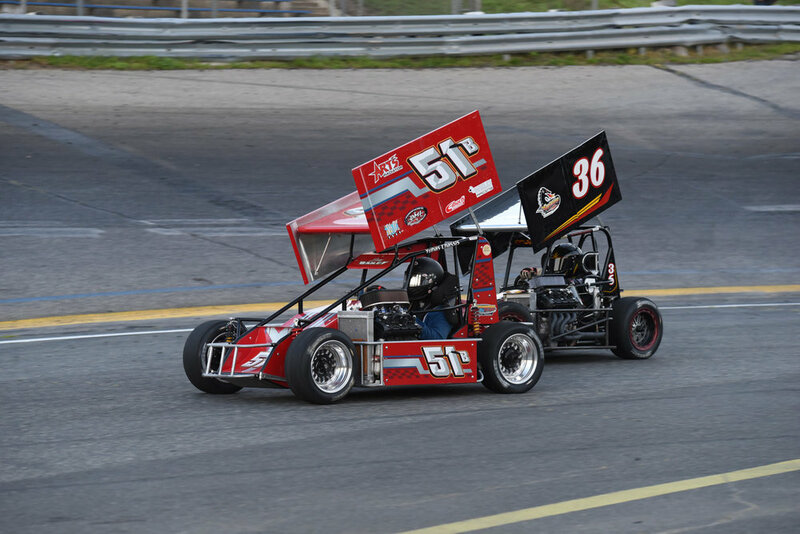 Taraska is expected to come back strong at Wall Stadium this upcoming weekend. 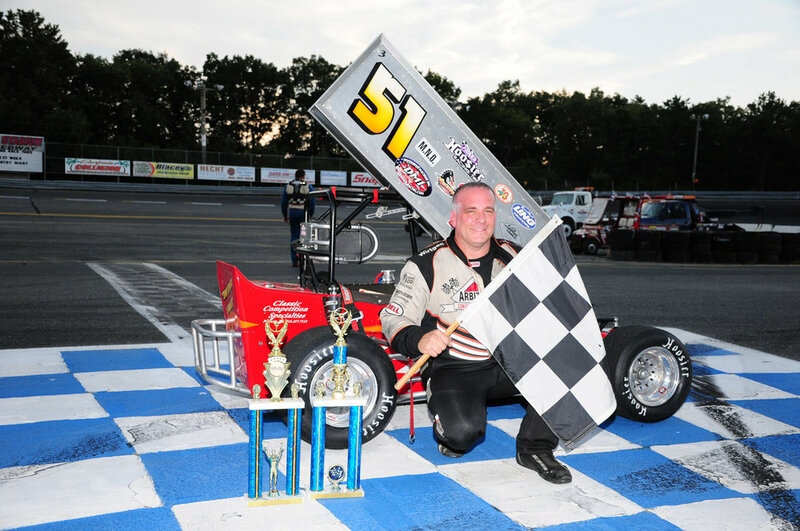 Joey Bailey was sure to thank his car owner Alan Mollot, his father Russ, the Janisch family, and his sponsors Phenomenon Designs, Art’s Radiators, Hoosier Mid-Atlantic and VP Racing Fuel. This has been a career year for the driver from Monroe, NJ as he will work to cap it off with his first career Hoosier Mid-Atlantic ATQMRA Championship this November. 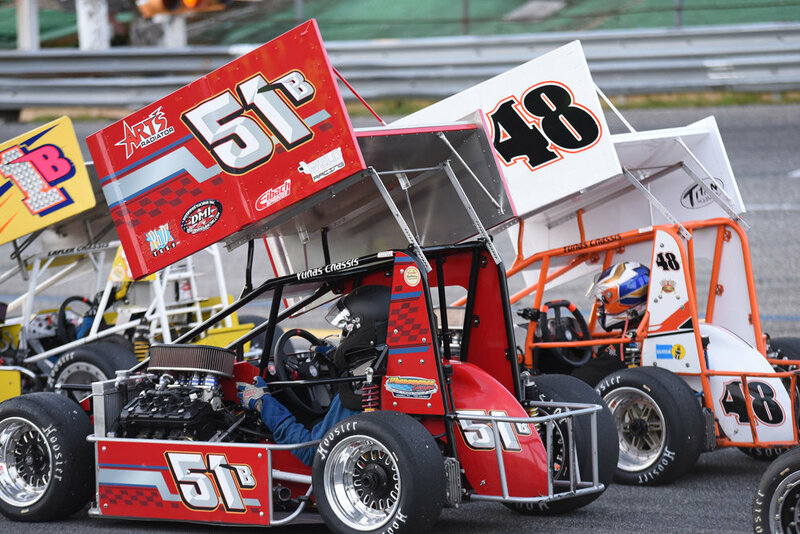 The ATQMRA will be racing at Wall Stadium Speedway this upcoming weekend for “Pack the Track Night,” which offers $10 general admission to all fans in attendance.